If you really want to get the most out of your Gmail account, read on. We’re going to show you how to Shift your Google game into high gear and become a real Gmail power user. When you sign up for Gmail you’re not just getting a web-based email account. You’re actually getting a Google account. This means that your username and password can be used to access just about everything Google. With your Google account, you can log into other services like YouTube, Google Drive, Google Docs, Google Groups and more. To make it simple, if you see anything on the web that says Google in front of the name, you can probably get into it with your Gmail username and password. Convenient, no? If you take a moment to look through everything that Google offers, you’re sure to find at least a few things you didn’t even know existed. Get in there and explore. Thanks to the Big G’s single sign on (SSO) technology, once you’re logged in you can hop from one service to another without the need to sign in again. You have to swear, though, that you’ll only use your new found powers for good. A not-so-obvious feature of Gmail is the advanced search and filtering system. It would only make sense that the search giant would incorporate killer search technology into their email offering, right? You’re undoubtedly aware of the search bar at the top of the Gmail screen. What you might not have noticed, however, is the small, grey, downward pointing arrow at the far right of the search box. Clicking on that nearly hidden arrow will open Gmail’s advanced search form. With advanced search, you can drill down to specific details to find a single message or choose more general parameters to find groups of emails. Best of all, once you’ve found the messages you’re looking for, you can save your search as a filter. To create a filter, just fill out the advanced search form and you’ll see a link appear on the bottom right that says “Create filter with this search.” You can use the filter to automatically forward certain emails, mark them as read, delete them, apply custom labels, and more. If you find yourself searching for and manipulating message often, this feature can really save you a lot of extra work. If you’ve never taken the time to poke around in Gmail’s settings, you’re missing out. In addition to all the basics, you’ll find things like the “Labs” that allow you to change the look and behavior of many Gmail features. To get there, just click the gear icon on the top right. When the settings page opens, look to the right along the top menu and click on “Labs”. Here you’ll find some interesting experimental features that let you do things like change icons, move the chat box to the other side of the screen, and even place new buttons on the Gmail menu. Google is one of the most generous service providers when it comes to free personal email and storage space. With your Gmail account, you get 15 gigabytes of storage to use between your email and Drive. Even better, Google doesn’t limit the number of accounts you can have, so you can generate new email addresses and get more storage as you like. Multiple accounts can make it much easier to stay organized. You can have one that you use for commercial purposes and one for personal, for example. With all the add-ons you get, you can keep files and documents organized under specific accounts too. 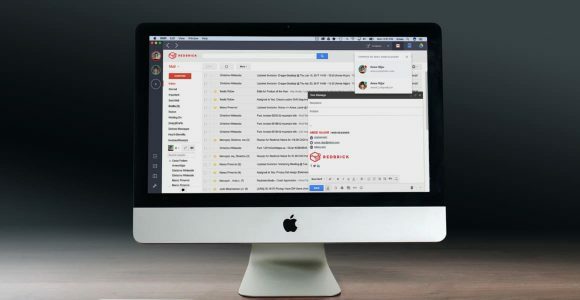 One of the first things you’ll notice when you’re using more than one Gmail account is that there is a drawback to that single sign-on technology we talked about earlier. When you want to use another account for any of Google’s web-based services, you first have to sign out of the one you used to log in. If you need to switch accounts often, this gets very tedious and very annoying, very fast. Luckily, Google also allows for the integration of apps with your Gmail account(s). This means you can give outside programs control over all or part of the functions in Gmail. One such program is Shift, which allows you to switch back and forth between accounts without the need to sign in and sign out over and over again. An integrated Gmail desktop client like Shift lets you squeeze every last drop of productivity out of your Gmail/Google account. You get the best of both worlds. 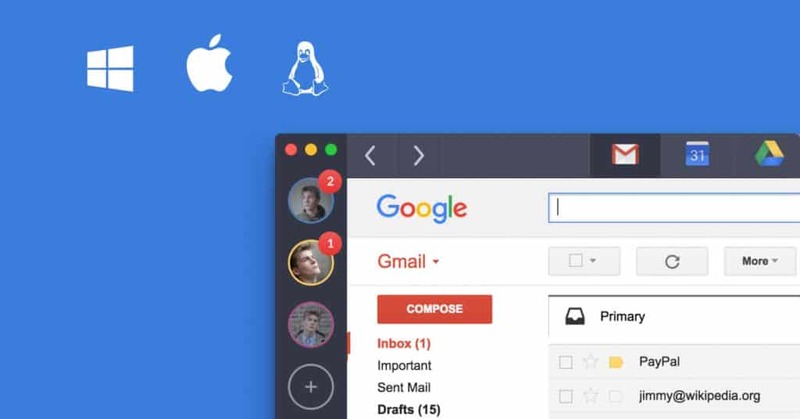 You have all the advantages of multiple Gmail accounts and everything they offer, and, at the same time, everything is consolidated and easy to manage.